We can say that in Shinran’s terms, Buddhism will not be well established in the West until the teaching about Amida’s salvation will be known. In fact, in the West only the provisional and accommodated teachings of Shakyamuni have spread until now, but not the teaching of His true intent of coming into this world. Thus, it is our mission to understand and transmit correctly the only Dharma of Shakyamuni that is still functioning in this world of the last age. The more we become aware of this truth, the better it is for all sentient beings. But I myself cannot abstain not to look with suspicion to all the so called spiritual achievements of today’s important figures of Buddhism. 2) because we are deluded, we think that somebody who shows more calm than us, already attained Buddhahood. A true Buddha knows all His previous births and the previous births of all sentient beings, He knows all the causes and their possible effects, thus being able to predict the possible future of any being; He knows perfectly which method is better to be applied to every one meeting Him, and the list of the Enlightened capacities of a Buddha can go on and fill many pages… I think it is very important to understand that a Buddha is not a human being, as the human condition is just one of the many unenlightened states of existence(1). Inside Enlightened qualities of a Buddha manifests outside and impregnates on His physical body, so both physically and mentally, a Buddha is an extraordinary person, beyond and superior to any being. To become a true Buddha, possessing such capacities as those enumerated above, is something that cannot be done in this age, according to Shinran Shonin. But unfortunately, people often don’t read carefully in the sutras what a Buddha truly is, and instead become easily impressed by anyone who shows more calm than them. When I myself look to the various Buddhist magazines that are so popular nowadays, I always have the feeling of futility. So many smiling monks, sophisticated articles, Zen talks about emptiness and how we are already Buddhas and don’t need to worry about anything, practitioners talking about how to overcome anger or jealousy, and many other bla, bla things….I read all those articles and feel like they talk for aliens, but surely not for me. Who are all those good Buddhists and how can their nice talks be of any help to me? Did the Buddhas came into this world only to teach these nice guys who are always calm and have such fulfilled lives through meditation? Then what am I doing here? 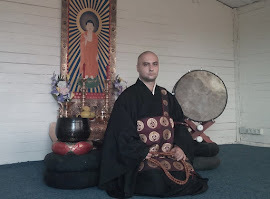 Before coming to Jodo Shinshu I felt like in school when the teacher always talked with the good children and sent me in the back of the classroom with the bad children. And then…, I found Jodo Shinshu…. which is the only reason why I am a Buddhist. 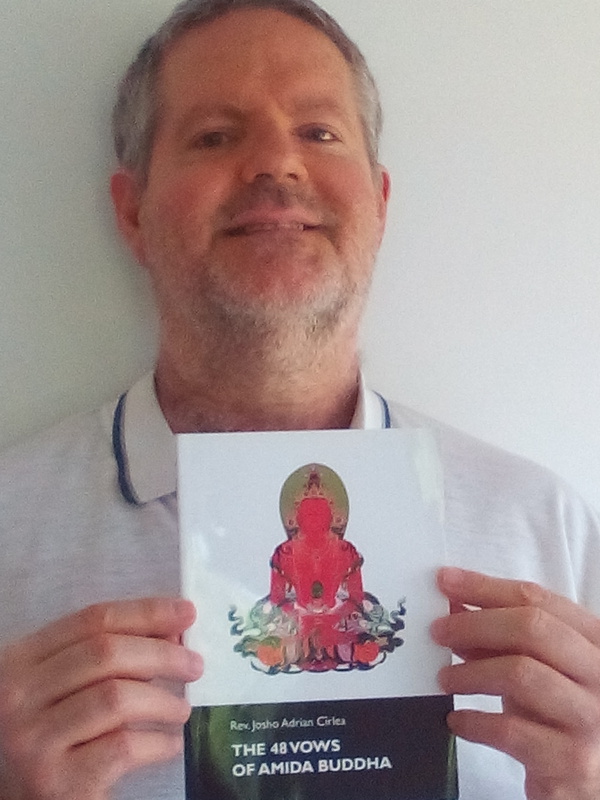 Without Jodo Shinshu, Buddhism is just another nice discourse for the smart and good guys but with no relevance for the real people, living in the real world.. I truly understand now why Shinran Shonin considered that preaching the Larger Sutra was the main reason for Shakyamuni coming into this world. He had the courage to abandon his mask of a good smiling monk and looked deeply into himself and the true human capacities. Shinran didn’t chose to teach the nice discourses of other sutras, but carefully selected the passages that were truly beneficial for himself and this world. There are teachings and practices preached by Shakyamuni that Shinran chose not to speak about and he did this NOT because those practices are bad, but not truly useful for our attainment of Buddhahood, given our real capacities. He said in his letters that some Buddhist teachings are of limited relevance while others are of universal relevance and that the teaching of the Primal Vow of Amida Buddha is of universal relevance. To be of universal relevance means to be useful and effective either for the good and virtuous and also for the evil beings filled with blind passions. Saints and stupid people can be saved equally. It is “the teaching in accord with the times and with beings” as he also said in Shozomatsu Wasan. 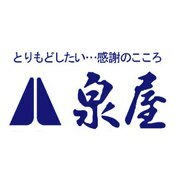 Some might think (and I heard such a statement at one of the European meetings) that we should not be so radical as Shinran who says that only faith in Amida can make people attain Buddhahood, because in this way we might offend other Buddhist schools with whom we are engaged in ecumenical talks. So what can we do? Why should they feel offended when so many other schools also claim they have the best practices and methods? Just look to the statements of the Tibetan schools when they speak about their specific teachings! My opinion on this matter is that it is extremely important to keep strictly to the explanations of Shinran Shonin and expound them as they were truly said without adding anything to them so as to satisfy the expectations of unenlightened people from other schools, or other non Buddhist religions of this deluded world. This is because in Shinran’s explanations we find the true reason for the existence of Jodo Shinshu. 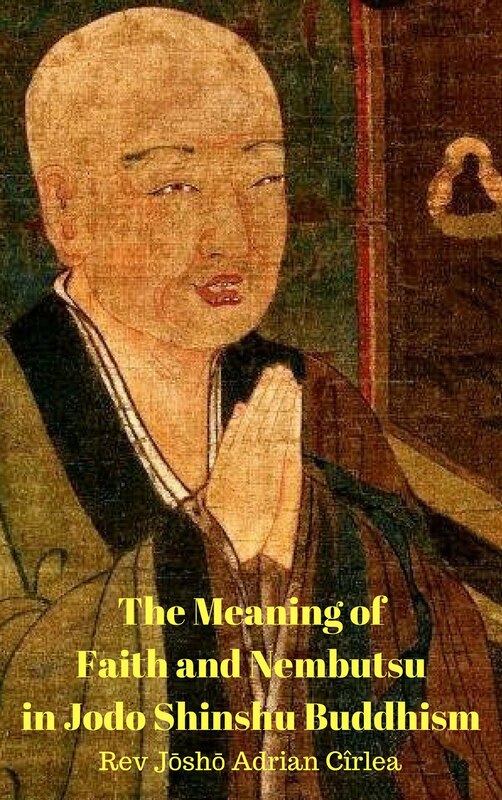 This wonderful teaching on the absolute reliance on Amida Buddha is not just another Buddhist method in the 84,000 Buddhist teachings (2), but the most important teaching among all Shakyamuni’s teachings. This means that all other Buddhist teachings are no more effective during these times. To “pass into the naga’s palace” means exactly this – not being effective or being as non-existent. “Not a single person will attain Enlightenment through them” is a very strong statement! Not a single one – this should be very well heard and understood. Not a single person can effectively practice the Buddhist teachings other than the reliance on Amida Buddha. Shinran’s words leave no trace of doubt about what we have to do. There is no other Buddhist method which can guarantee Buddhahood so quickly without asking anything from the practitioner. All the nice discourses and practices of other schools through which they claim that everybody can become a Buddha in this very life are good in themselves, but they are not effective for this age and people living in it. So they are as good as non-existent – “gone into the naga's palace”. In this age, any true spiritual practice, (by “true” I mean any Buddhist practice and not the practice of other religions), which asks even a merit as little as a particle of dust from the practitioner is not an effective practice. So we should abandon them because we can’t become Buddhas through them. which if they are compared with the statement about the two types of Enlightenment (eternal and impermanent) quoted by Shinran in his KyoGyoShinSho and presented above, we can easily draw the conclusion that not through non Buddhist teachings, but through the Buddha’s path which is pure, is one made capable to attain Enlightenment. So, if we live in this last Dharma age with all its defilements and difficulties, we should follow only the path of the Buddha and not the various non Buddhist teachings which are themselves manifestations of this defiled world. More than this, among all Buddhist methods we should select only the teaching of the Primal Vow and abandon the rest as being as good as non existent. 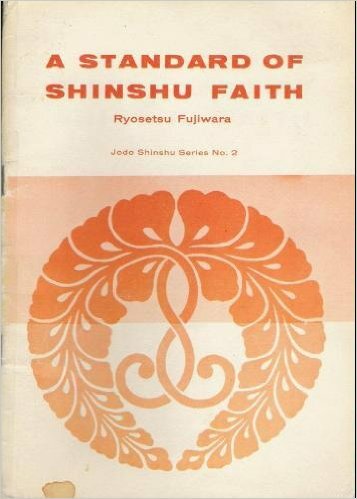 I especially think that these statements of Shinran Shonin about the non Buddhist teachings and other Buddhist practices, are very useful in our days when it became a custom to mix things and find so called synthesis of various religious beliefs. Many spiritual soups are prevalent in our days, mixing elements of Christianity with Buddhism and Hinduism. But also in the Buddhist world mixing things is often met and even in Jodo Shinshu there is for example, the tendency among some followers to make Jodo Shinshu more Zen like in order to accommodate to their personal visions and incapacity to be open to a salvation and faith oriented teaching. In rejecting non Buddhist views as not leading to Enlightenment and also other Buddhist teachings as ineffective, Shinran Shonin shows he is not interested in satisfying everyone’s ideas or in having a nice and politically correct talk with all doctrines and religious views, but is concentrated in saving people from birth and death, which is the most important thing in this life. In front of the two rivers of fire and water with death and danger waiting to strike at every moment, and the rare chance of having another human life so hard to find, Shinran is interested only in showing us the path to escape. And he clearly sees no other way than entrusting in Amida Buddha. All other methods are not real or they are ineffective. Shinran calls us to awaken and do not lose the precious time we have. This is a burning house and not a place for unimportant talks and doctrines. He is clear in his explanations like a doctor who prescribes exactly what a patient needs to save his life. He says something like: “Do you want to escape birth and death? If you do, then this is the way to follow and no other. 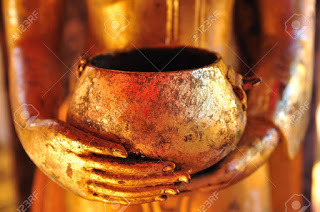 Entrust in Amida Buddha and in no one else”. It is Shinran’s message to a terminally ill world in the last Dharma age, a world who needs the best medicine ever to be found in the religious history. 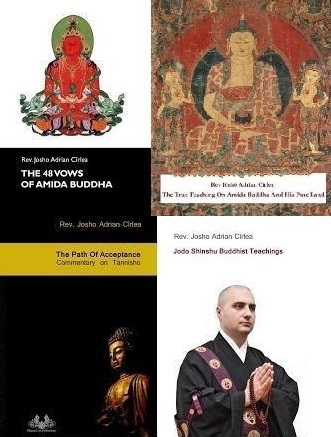 For those who come to Buddhism and Jodo Shinshu only for intellectual delights or interesting discussions, the radical attitude of Shinran will always be embarrassing or not so politically correct. But for those whom birth and death is the most important matter and realize their true capacities, the clear message of Shinran and his way of rejecting that which is not true or effective and selecting that which is true and useful, is all they needed to hear. So, dear friends, make a choice: escape this burning house or remain inside it, spending your time with false or futile practices. (2) Shinran said in Letter 8 of his Lamp of the Latter Ages: “Of the conceivable and the inconceivable dharma, the conceivable comprises the 84,000 kinds of good of the Path of Sages. The Pure Land teaching is the inconceivable dharma-teaching” - so he clearly separated the Pure Land teaching from other Buddhist teachings and practices. (3) "Ninety-five non Buddhist teachings" (kujugoshu ) originally appear in the Nirvana Sutra and others. It is said that at the time of the Buddha there were ninety-five kinds of wrong teachings. They are views of the six philosophical masters (rokushi gedo) and those of their disciples, fifteen under each master (Zuio Sensei explanations). I also think that any nowadays spiritual teaching that contradicts the law of karma as explained by the Buddha, denies rebirth, affirms the existence of a Creator and supreme judge of the world, etc, can be considered in the category of non Buddhist teachings that should be rejected. One cannot be a Jodo Shinshu follower and believe in God, deny rebirth and the law of karma. I sincerely like this message, and especially glad when Jodo Shinshu is now rooted in Romania. However, I would think that upaya is still very useful to guide beings to the One vehicle teaching of Buddhism. Sorry, I have a few more questions. I am interested in the Pure Land concept. It seems that the Pure Land is the place one goes when he dies. There, in the presence of Amida Buddha, he continues meditation until he reaches enlightenment. Is that right? Then what happens? Does he go somewhere else? What is his final destination? Is it Nirvana where he finally becomes one with all things and ceases to exist as a person? Is Amida Buddha, who is called a Savior of some type, viewed as God? Does Amida Buddha ever move on from the Pure Land? If you could point me to somewhere I can learn more about these things, I would be grateful. Please have patience and carefully read my website, because there are various articles on the topics you raised questions. and also refer to the category “Amida Buddha”, where you can read all I wrote about who is Amida Buddha and what is His Pure Land. As I said, you will find many answers to your questions there. 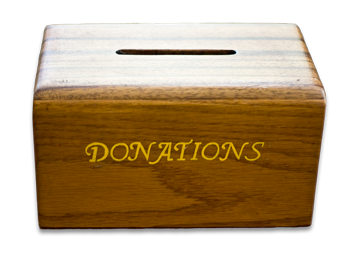 "This is a very interesting and helpful article. Thanks. The very last sentence here caught my attention. "'One cannot be a Jodo Shinshu follower and believe in God, deny rebirth and the law of karma." Is this your opinion or official Buddhist teaching? What do you, Shinran, and Honen then think happens to all the people who do believe in a Creator? Does this mean that Buddhism teaches an evolutionary origin for the universe and mankind? As you can see, I wrote that article using many quotes from Shakyamuni Buddha. So, I do not express my own opinions, but what Shakyamuni Buddha himself taught. I am only a transmitter, not a creator of the Dharma. I know that nowadays there is the custom in many spiritual circles (including some false „buddhists”) to mix various buddhist and non-buddhist teachings, but this is not what I do. The masters of my tradition, like Honen and Shinran, always taught that faith should be in Amida Buddha only. They said we should always be in accord with the Primal Vow of Amida Buddha, where Amida said that we should entrust to Him, say His Name in faith and wish to be reborn in His Pure Land. No mention of a creator-god is to be found there. So, I, as a humble transmitter and their disciple, I say the same – faith should be in Amida Buddha only. What happens with those who believe in a creator? Well, they are under a grave illusion, and until they discard it, they cannot attain Enlightenment. Also, until they entrust only in Amida Buddha, they cannot be reborn in His Pure Land after death. Things are very simple. Of course, they may do various good deeds or bad deeds, thus planting good or bad karmic seeds, which will make them to be reborn in various good or bad states of existence. But attainment of Buddhahood or Enlightenment cannot be attained by faith in a creator-god. Thank you for your answers! I must admit though that I am very confused. I read different things on different web sites and it is hard to know which Buddhism is the right one, or, to be honest, if any of them are. How does one know since different masters teach different things? I guess it really doesn't matter because if I don't find the right one in this life, I will have another chance in the next one, right? You say that the goal of Buddhism is to become a Buddha who in turn returns to this world to help others also in their quest to become a Buddha. Will there ever be a time when everyone finally becomes a Buddha? I guess not since new people are being born every day. Do you know any such Buddhas? Are they incarnated in the flesh? Once a person reaches enlightenment, he/she will spend eternity trying to help other seekers find their way to Buddha-hood? Will they live here in this world or a world of their own making? You said "they will go back in Samsara, in various forms, as Buddhas." but I am still unclear on what that exactly means. 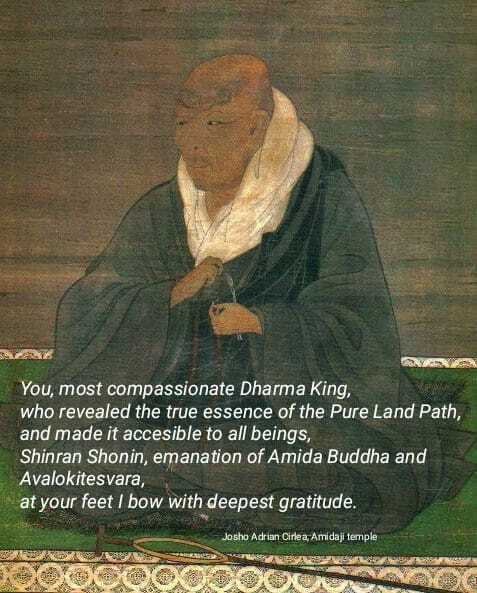 It seems that the Pure Land sect of Buddhism reveres Amida Buddha more highly than Shakyamuni Buddha. You do not believe he is God, but neither is he a human being, although he once was a human, right? He is simply a Buddha - if I understand your teaching correctly. And you believe the characteristics of a true Buddha are true wisdom and compassion, right? Your particular beliefs seem to based on the teachings of Honen and Shinran who were 13th century Buddhists who in turn based their beliefs on writings by Genshin(Ojoyoshu - late first century) and on Chinese manuscripts(translated from the Sanskrit version around the first or second century) of the Larger Sutra of Immeasurable Life - which is thought to be a written record of oral traditions of Shakyamuni's teachings. Shinran built on Honen's teaching and chose three particular works out of all the Buddhist texts as the three principle texts and these became the basis for Pure Land Buddhism. Is that an accurate understanding of the roots of your particular sect of Buddhism? You said that Buddhism does not teach evolution. What does your group teach about where we and the universe itself came from? And why does it exist? Does Buddhism touch on these subjects? Thank you so much for your links. I read a number of them. Still have some to go. I think I will have to read them more than once to get an accurate understanding or your group's beliefs. Shakyamuni Buddha taught many Dharma gates, each with their own practices, which differ from one another in some aspects, because people too are different and on different levels of understanding and spiritual development. So, try to find your path within Buddhism and chose what suits you from among the many Dharma gates. Also, try to make the difference between those who teach their own personal opinions – the world is filled with false Buddhists – and instead follow those teachers and masters who teach the words of Shakyamuni Buddha. 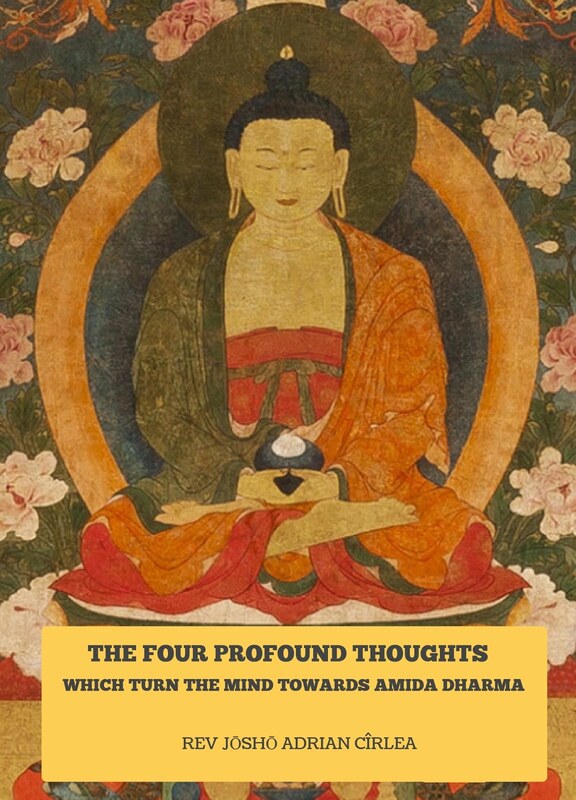 If you carefully read my texts about Amida Buddha you will see that I rely heavily on what Shakyamuni himself taught about Aimida and His Pure Land. In no way, do I transmit my own personal teachings. And do not think you have enough time or that someday you will have another chance to follow the Dharma. You can never know when you will be reborn a human again and have the chance to hear the Buddha Dharma. I am not saying this on my own accord; it is the Buddha Dharma who said this. Will you please first try to become a Buddha yourself, and then see for yourself, with the unlimited wisdom you will then attain, if you can give a better answer :) With your limited spiritual development you cannot recognize a Buddha, even if He may be in front of you. An Enlightened Person or Buddha can be in many places in the same time. A Buddha has no limitation in space, so yes, He can be in His own realm and in the same time, take a form in another world, to help those beings born there. Don’t try to think a Buddha is limited like you. The state of Buddha is different than that of an unenlightened being (human, gods, etc). So, if you for example attain Buddhahood, you will be called Buddha Jim and even if your present body continue to resemble that of humans, your state of mind is that of a Buddha, and no longer the state of mind of an unenlightened human being. So, I can no longer call you a human being. Next, when we entrust to Amida Buddha we also revere Shakyamuni – this is because Shakyamuni urged us to do so in the Pure Land sutras. He encouraged us to follow His teaching on Amida Buddha and entrust to Amida Buddha. So, we look to Shakyamuni as the messenger of Amida Buddha. Of course, Shakyamuni taught many Dharma gates and many practices, not only the teaching on Amida Buddha, but we simply chose among His many lifetime teachings the ones about Amida Buddha. You can chose this one too (the Pure Land gate or Amida Dharma) or another practice taught by Him. Its your choice, this is why I said that you should investigate and see which of the many Shakyamuni’s teachings is better suited for you. We basically rely on the Three Pure Land sutras, taught by Shakyamuni Buddha, and especially on the Larger Sutra, in which the Primal Vow of Amida Buddha is to be found. The Primal Vow, where saying of Amida’s Name in faith and aspiration to be born in His Pure Land is contained, is the basis of our school. I said that I do not link the Buddha Dharma to a modern theory. I simply refuse the term “evolution”. Generaly, in Buddhism it is said that beings take various forms due to their karma. Also, the realms they are born into are the effect of their karma. So, in a way, the realms correspond to the collective karma of a certain category of beings. This is why, for example, some beings are reborn in the human world, while others in various hells and others in gods realms, etc. But I will treat the topic of “world and universe in Buddhism” in another article/articles, not now. Anyway, according to Buddhism there is no beginning and no end to the various worlds and universes. These appear, disappear and appear again. Everything changes due to causes and conditions, so the worlds appear, disappear and then reappear again in multitude of forms. But again, when you will become a Buddha you will better understand all these, as now, the most important thing to do is to escape the suffering of repeated births and deaths, not to make a philosophy on the so called “origin” of the universe.